If Venice is on your list of Italian cities to visit this semester, than a Venetian Gondola ride is sure to be the highlight of your trip. We all know the iconic image of the Italian man, in a black and white striped T, singing and rowing his way down the narrow Italian canals. Here a few things you may not know about the iconic gondolas, as well as some tips to help make that picture perfect image come true. 1.Gondolas were taxis of the 16th century. During the 16th century, there were more than 16,000 gondolas filling the Venetian canals, transporting the upper middle class around the city. Today however, there are only around 500 gondolas used primarily as a tourist attraction. 2. Your Gondolier is a trained professional. With only 3 or 4 gondolier licenses issued annually, the art of the waves is not easy. The man (or very rarely the women) steering your gondola through the choppy waters has gone through an intense apprenticeship of 400 hours, as well as an extensive study on Venetian landmarks and history. Think you have what it takes to steer that gondola down the canal? Think again. 3. Gondola rides aren’t cheap. While a gondola ride is definitely a must while in Venice, be aware of the hefty price tag for the quick trip down the canal. Gondola rides begin at €80 for a 40 minute ride, and up to €20 for every additional 20 minutes. 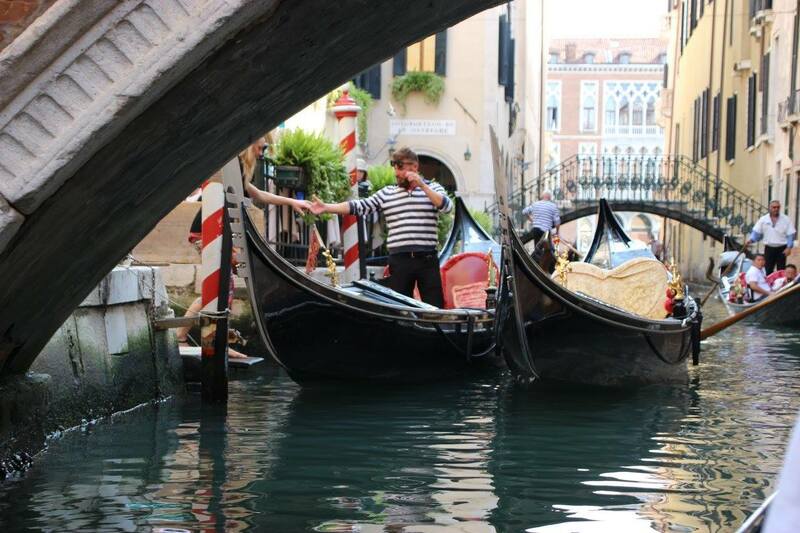 Gondoliers are also known to be speedy, be sure to write down the start time of your trip as it is common that gondoliers cut the trip early. 4.There are ways to save! As any savvy traveler knows, there are always ways to save while traveling. Looking for a romantic date for two on the gondola? Then yes, you will have to pay the hefty price. But, if you’re looking to save a few bucks and make some new friends, each gondola holds up to six people who can split the cost! If you’re really on a tight budget, check out the traghetto. The traghetto are still used as general transportation by the locals. For around €2 per ride, the traghetto travel straight across the grand canal, offering the gondola experience at a much more reasonable price! Looking for other things to do once your gondola ride comes to a halt? Check out ‘Venice: The Enchanting City of Gondolas, Masks, and Casanova’ and be sure to tag along on one of our Venice day trips!